12 MT BRAID IN POLYPROPYLENE FABRIC ASSORTED COLORS. 20 ADHESIVE EYES. CORNAREDO (MI). Easy to cut and paste, the Gum Crepp is a valid and original product to create educational jobs and decorations. 16mtrs per spool. Priced per spool. Based on the New South Wales’ Central Coast, Feather is Australia’s largest supplier of feathers. Feathers are a natural product, with natural imperfections adding to their uniqueness. 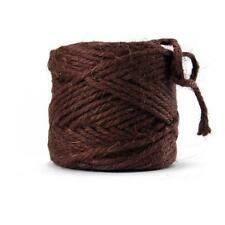 THIS 9 PLY PURE COTTON TWINE IS IDEAL FOR A RANGE OF CRAFT ACTIVITIES. APPROX 2mm THICK. VERY STRONG WHITE COTTON CORD. 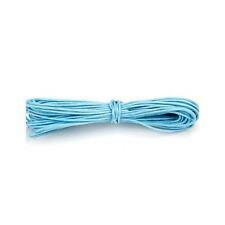 WRIGHTS-Silk Cord Perfect in drawstrings for clothing, accessories and more! This package contains thirty-six yards 100% nylon black silk cord (1/8 inches wide) Imported. .
WRIGHTS-70% polypropylene/20% acetate/10% metallic Great for costuming, home decor, and crafts! Product care: Machine wash warm Drip dry Glue or sew Color: gold. .
We have a showroom with over < span class = "notranslate" > 2500 sqm. Office: < span class = notranslate ' > 0966.931570 . House is forwards throughout Italy via BRT or, where appropriate, with local specialized professionals, owner-operators. Office: < span class = notranslate ' > 0966.931570 . We have a showroom with over < span class = "notranslate" > 2500 sqm. Right of Withdrawal. House is forwards throughout Italy via BRT or, where appropriate, with local specialized professionals, owner-operators. House is forwards throughout Italy via BRT or, where appropriate, with local specialized professionals, owner-operators. Right of Withdrawal. We have a showroom with over < span class = "notranslate" > 2500 sqm. Weight Worsted (9 wpi). 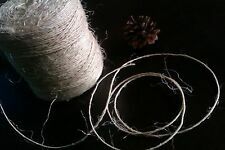 Bamboo cord is smooth and soft like cotton but also is incredibly durable. Fibers 70 Cellulose - Bamboo 30% Cotton. Priced per 10 mtrs. Hole Punch pliers leather belt, leather. House is F.lli Srl P.IVA 00092270800 C.F. 00092270800-Laidlaw. House is forwards throughout Italy via BRT or, where appropriate, with local specialized professionals, owner-operators. 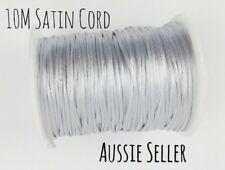 WRIGHTS-Large Metallic Twist Cord This package contains 18yd/16.46mm of 91% polyester/9% Rayon 1/4in cord Care: machine wash delicate, tumble dry low Imported. .
WRIGHTS-Large Metallic Twist Cord This package contains 18yd/16.46m of 9% Rayon/91% polyester 1/4in cord Care: machine wash delicate, tumble dry low Imported. .
WRIGHTS-Metallic Twisted Cord This package contains one spool with 12 yards of 1/2 inch wide gold metallic twisted cord 95% cotton, 5% metallic Machine wash delicate/gentle, tumble dry on low heat Imported. .
WRIGHTS-70% jute/30% cotton Color: Natural. .
Simplicity-Cotton Bolo Cord Great for trimming athletic apparel, hoodies, accessories, adding drawstrings and more! 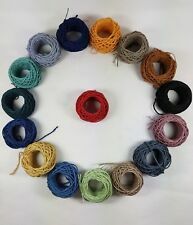 Machine Washable 100% Cotton Comes 18 yards on a full reel Imported. .
WRIGHTS-Cotton Bolo Cord This package contains 18yd/16.46m of 100% cotton 3/16in cord Care: machine wash delicate, tumble dry low Imported. .
WRIGHTS-Large Twist Cord This package contains 12yd/10.97m of 84% cotton/16% polyester 3/8in cord Care: machine wash delicate, tumble dry low Imported. .
Simplicity-Lanyard Cord Ideal for lacing apparel, corsets, hoodies, shoes and much more Polyester braid construction is durable and resists fraying Machine wash Comes 24 yards on a full reel Imported. .
WRIGHTS-Large Twist Cord This package contains 12yd/10.97m of 78% cotton/27% polyester 1/2 inch cord Care: machine wash delicate, tumble dry low Imported. .
Wrights-Metallic Cord Use this trim for adding an additional decoration to any project This package contains 48 yards of 1/16 inch wide trim Color: Gold Imported. .
Beautiful raffia in natural color. Material: Raffia. Baby shower:party supplies. Table Decoration:gift. Color: Natural color. Type:Event & Party Supplies. Event & Party Item Type:Other. Gives a great finishing touch! WRIGHTS-Large Twist Cord This package contains 12yd/10.97m of 68% polypropylene/32% Rayon 1/4in cord Care: machine wash delicate, tumble dry low Imported. .
WRIGHTS-Twist Cord This package contains 18yd/16.46m of 78% polyester/22% Rayon 3/16in cord Care: machine wash delicate, tumble dry flow Imported. .
WRIGHTS-Large Twist Cord This package contains 12yd/10.97m of 24% polyester/76% cotton 1/4in cord Care: machine wash delicate, tumble dry low Imported. .
WRIGHTS-Drawstring Cord Use this trim for adding an additional decoration to any project This package contains 12 yards of 1/4 inch wide trim Color: Black Imported. .
WRIGHTS-Metallic Twist Cord This package contains 12yd/10.97m of 87% cotton/8% polyester/5% Rayon 3/8in cord Care: machine wash delicate, tumble dry low Imported. .